On November 21, 1783 the first free flight carrying a human occurred in Paris, France. It was in a hot air balloon made of paper and silk made by the Montgolfier brothers. The balloon carried two men, Francois Pilatre de Rozier and Francois Laurent, Marquis of d’ Arlanders. The balloon reached an altitude of at least 500 feet and traveled about 5½ miles before landing safely 25 minutes later. On December 1, 1783, just ten days after the first hot air balloon ride, the first gas balloon was launched by physicist Jacques Alexander Charles and Nicholas Louis Robert. The flight lasted 2½ hours and covered a distance of 25 miles. The gas used in the balloon was hydrogen, which is a lighter than air gas. 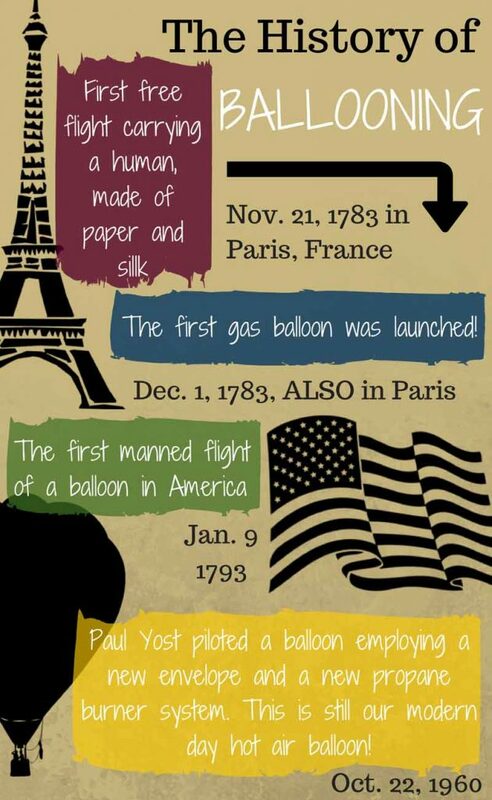 The first manned flight of a balloon in America occurred January 9, 1793. This flight ascended to about 5,800 feet and he made a successful landing in Gloucester County in New Jersey. George Washington observed the launch. 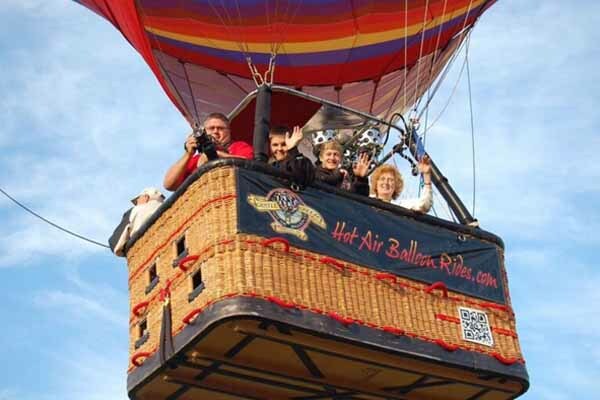 Modern hot-air ballooning was born October 22, 1960 when Paul E. (Ed) Yost piloted the maiden flight of a balloon employing a new envelope and a new propane burner system which he developed. The flight lasted 25 minutes and traveled 3 miles! Today, ballooning has become a sport and even NASA is using balloons to provide greatly enhanced scientific research. Such balloons are used like satellites to study deep space and the Earth, but at a fraction of the cost of a satellite. Our favorite part about ballooning is the relaxation & peace it brings when gazing out from the basket on a normal #HotAirBalloonRide. 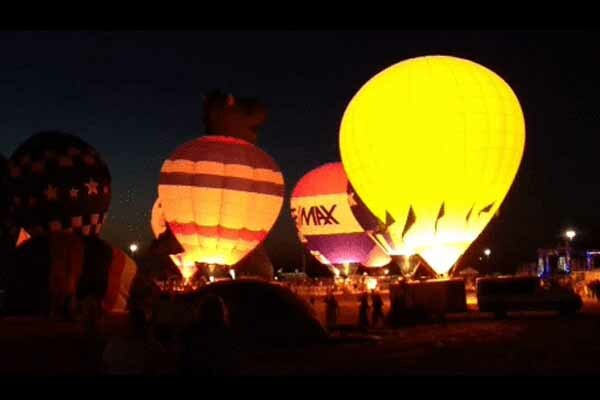 You also see a ton of events with Hot Air Balloon Glows! Most of the time, the balloons don’t even go up into the sky, they just put on a spectacular light show for it’s audience! Many festivals throughout the United States enjoy adding this event to their long, festival days!